I love the stamp sets that were included in the Simon Says Stamp March 2018 Card Kit. I made these two cards with the same images, but used different colors. 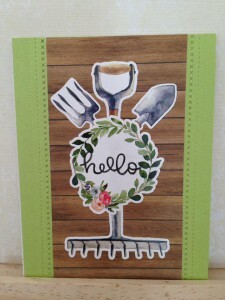 Extra Details: I began this card by stamping the images on some smooth white card stock. I used black ink and Prismacolor pencils to color everything in. I trimmed the colored panels into smaller rectangles. I layered them on some slightly larger rectangles of colored cardstocks. I die cut two panels of Kraft cardstock with a stitched rectangle die. 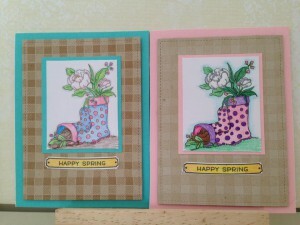 I added some interest to the Kraft panels with a gingham stamp. I used white pigment ink on one panel and light brown ink on the other. I adhered each panel to a larger panel of the colored card stock. I adhered these to white card bases. I adhered the stamped panels onto the matching cards. 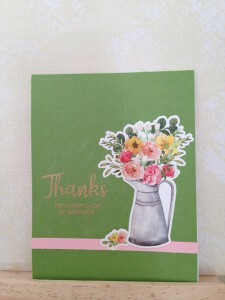 Originally, I was planning on leaving the cards without sentiments, but it just didn’t feel right. 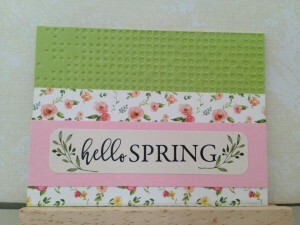 So I quickly stamped, colored, and fussy cut the sentiment plaques. I adhered those under the colored images and the cards were finished. 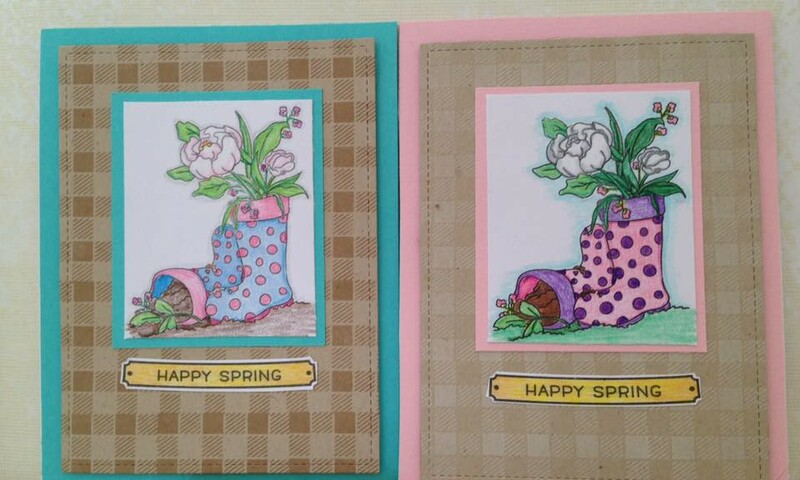 I am finally getting around to blogging the cards I made with the Simon Says Stamp March 2018 Card Kit. I loved this kit and made a bunch of cards. These are the cards I made using the papers and stickers mostly. 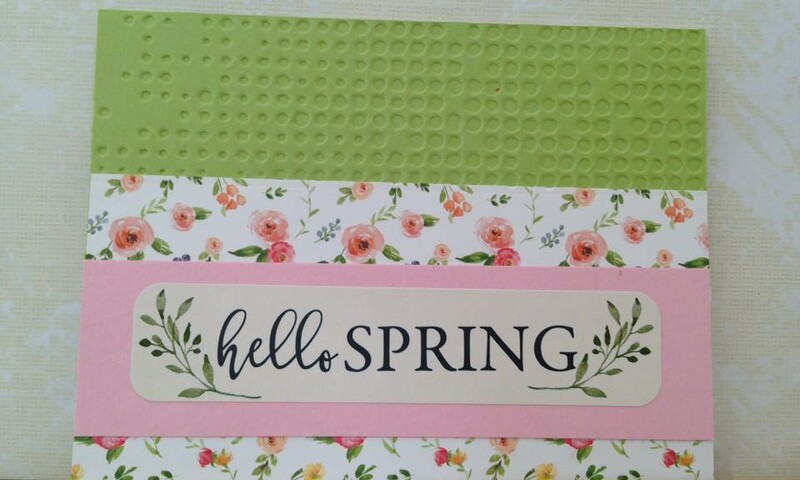 Extra Details: I used a variety of papers and stickers from the March 2018 card kit to make all of these cards. 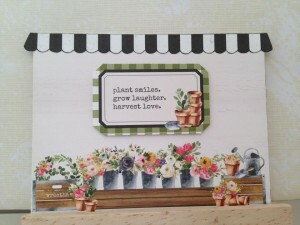 I did add a few stamped images or sentiments. Simon Says Stamp’s Monday Challenge this week is to be inspired by mythology or a story. I choose Peter Rabbit, because it is spring and I have been itching to use this stamp set. In the end I made two similar cards. 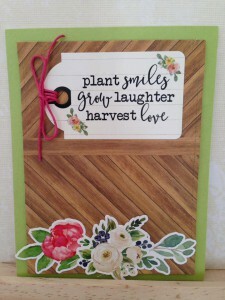 I used the Simon Says March 2018 Card Kit. 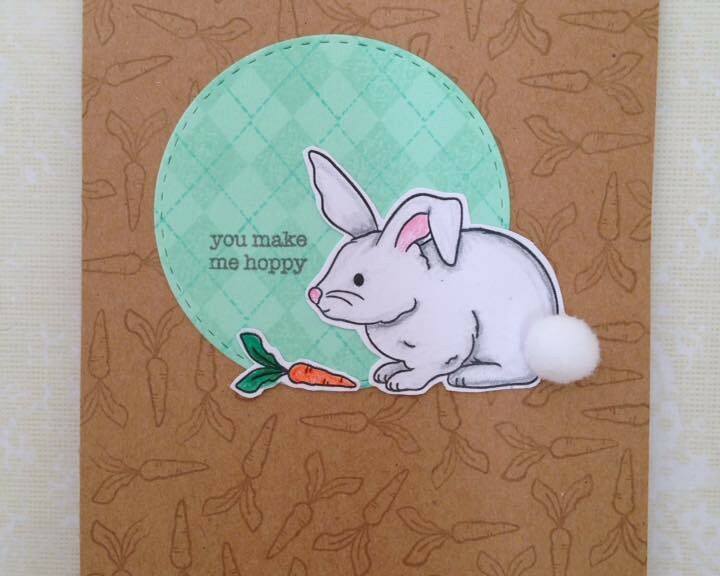 Extra Details: I began these cards by stamping the rabbits and carrots on smooth white card stock. I used Prismacolor pencils to add the shading. I fussy cut out the images leaving a small white border. For the first card, I found a mint die cut circle I had left over from another project and adhered one rabbit and a carrot. I stamped the sentiment in a grey ink. 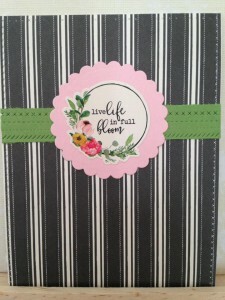 I choose a kraft card base, but felt it was very plain. 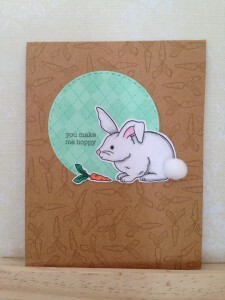 I stamped the carrot image all over the card base with a brown ink. 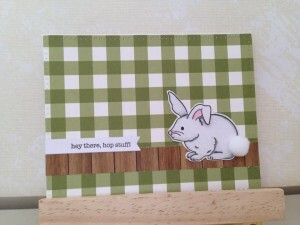 Then, I adhered the circle and rabbit to the card front. Lastly, I added a white pom-pom for the bunny’s tail. For the second card, I covered a white card base with a piece of patterned paper from the Simon Says Stamp Match 2018 card kit. 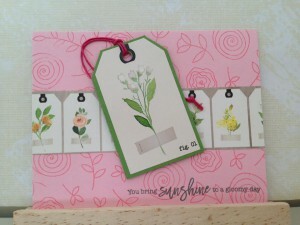 I used a crossed stitched rectangle die to cut the paper to the correct size. I added a small strip of a second patterned paper as a ledge for my bunny to sit on. I adhered the bunny and added the pom-pom tail. Lastly, I stamped the sentiment on some white card stock and die cut it with a banner die.